Whether it’s the start of a new calendar year or the start of a new financial year, the concept of a financial new year resolution can be important. It’s a chance to start fresh, and to give yourself an opportunity to set some goals regarding your personal and your business finances. 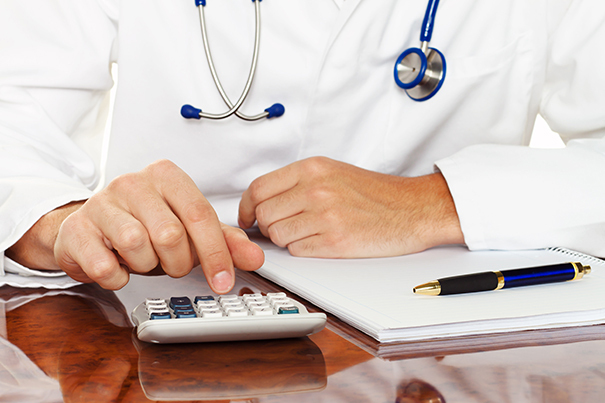 Many doctors and medical practitioners neglect how important it is to make financial resolutions, with resolutions usually revolving around working less overtimes or helping more patients. However, the core principle of setting realistic and measurable resolutions applies to financial resolutions as much as it does to the non-financial variety. Unrealistic resolutions can cause regression when it comes to both your personal and your business finance goals, so it’s important that you set these carefully and respect them accordingly. This way, you won’t be setting yourself up for failure from the outset. Assessing your net position or net financial worth is a good way to ensure you are moving forward as each year progresses. Consider the value of all of your assets, and subtract your debts. Committing to increasing this figure each year is a good start, and it’s something you can easily monitor and assess annually. There’s an interesting concept that is advocated by business leaders of achieving a set amount of growth each year – and not exceeding that growth. The purpose of this is not to grow too fast, which would unsustainable over a longer period of time, and instead focusing on making your business and personal growth a steady incline. As an individual practitioner it’s hard to increase your personal working hours without it proving detrimental to your work-life balance, but a great way to expand would be to include more doctors into your medical practice, and then having a small commission percentage from their fees to contribute to business expansion. The simplest yet often most neglected personal finance habit is to commit to saving a specific amount of money every month. Set up an automatic transfer and don’t touch this money. It helps to have a goal in mind as well, as this can motivate you and make it all worthwhile (for example, a house deposit). For your medical practice, you should always have an idea at the start of each month on how much outgoing expenditure you are likely to have. Yes, there will always be incidentals that occur or an unexpected payment to make, but generally you should have a good idea of your outgoings versus your incoming cash flow. Credit card debt is the most common form of personal debt, and it’s also the easiest to lose control of. Commit to paying off your credit cards rather than ignoring them and, if you can’t do it in one hit, look for interest-free balance transfers or better deals that will help you to do this more efficiently and effectively. Your superannuation is probably not often at the front of your mind, but it’s crucial that both you and your employees understand it. Each year, an employer will pay at least 9% of your base salary into a superannuation account of your choosing. You should check that your account is still well invested by the managing company, and that the returns are consistent. Making sure that you take the time to find your lost super, and consolidate all of your accounts into one is also an important part of getting on top of your superannuation. Creating and growing personal wealth is often the main focus, but ensuring that you protect your money as well as your ability to create it is equally as important. Always ensure that your life insurance is sufficient to cover any debts, and that you have sufficient disability and income protection insurance in case you are unable to work is vital to staying ahead. MEDIQ Financial is an Australian insurance company that is dedicated to providing insurance to those in the medical field, including doctors, students and practices. It’s worth speaking with one of our experts to ensure that the insurance policy you currently have will protect you as a doctor as well as your medical practice should anything happen. Many people don’t see the value of seeking professional financial advice as an individual – or even as a business – but this can be a mistake. While there are sufficient resources to learn and educate yourself, there is always value in speaking with a professional to help you navigate more complex matters and even formulate a savings and investment strategy or a debt consolidation strategy. Additionally, if you have a medical practice then you are no doubt more focused on your patients than on their bills, which is how it should be. However in order to help others, you need the funds to keep going, and that’s where an accountant can help to keep track of the finance so you can devote your full attention to your patients. These simple resolutions can have a dramatic impact on your awareness of your personal and business finances, and sticking to them can really help to improve your bottom line. Be simple, realistic and disciplined with your resolutions, and financial success will be much easier.